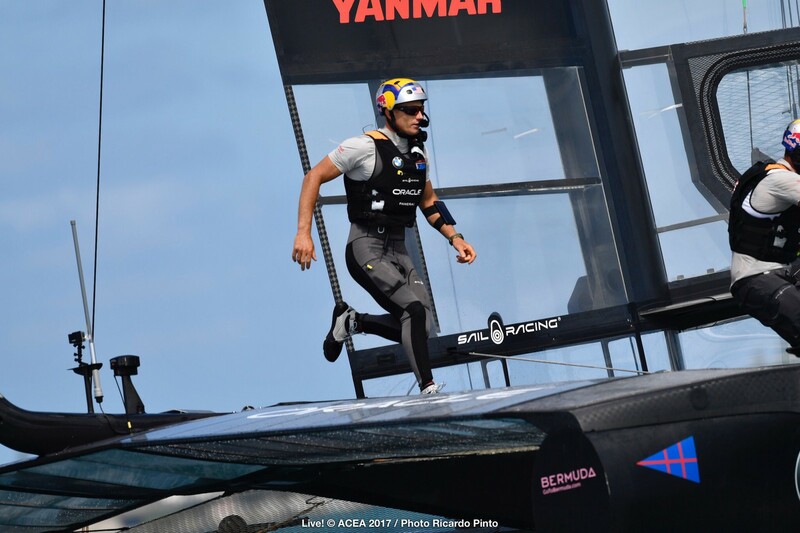 R1 - Spithill trying to get Burling at the start but the young kiwi is playing his own game defending his position, both teams wth clear and even start. Oracle to windward trying to roll over TNZ, side to side towards reaching Mark and through the boundary. A better gybe by TNZ puts them ahead, and that's it. They were gone. R2 - Another start in parallel, this time TNZ from above and n better speed they simply could complete the roll over Spithill tried in race 3. From then on, New Zealand was gone once more. 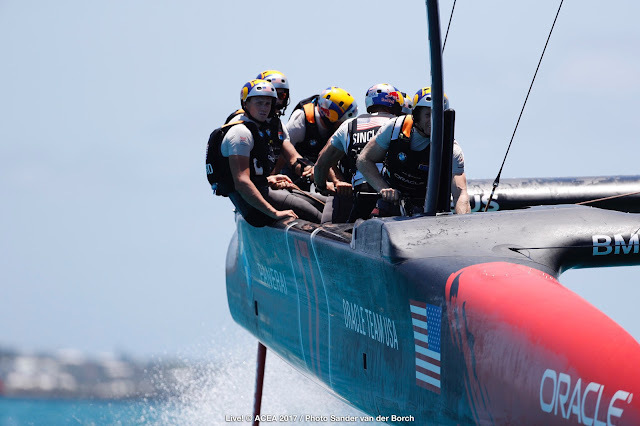 On doubt were the starts by Burling: On the 4 races till now Spithill could not now a single one or push Burling around, Peter demonstrated he can adapt in no time and he is up to any challenge. 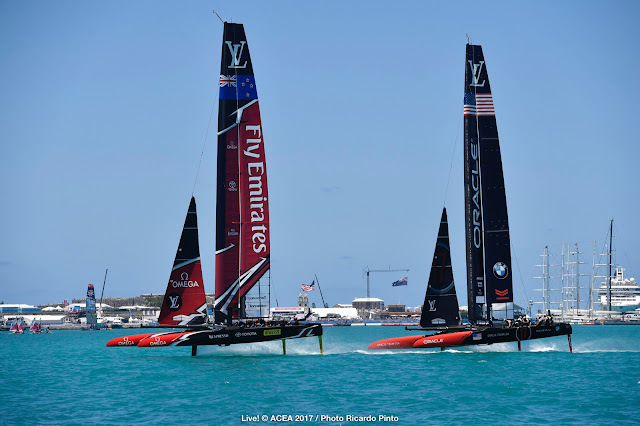 It was "Boring" only thanks to Emirates Team New Zealand being faster, added to their smoother handling , plus excellent sailing today by Burling & Ashby. Not an error and flawless course racing. 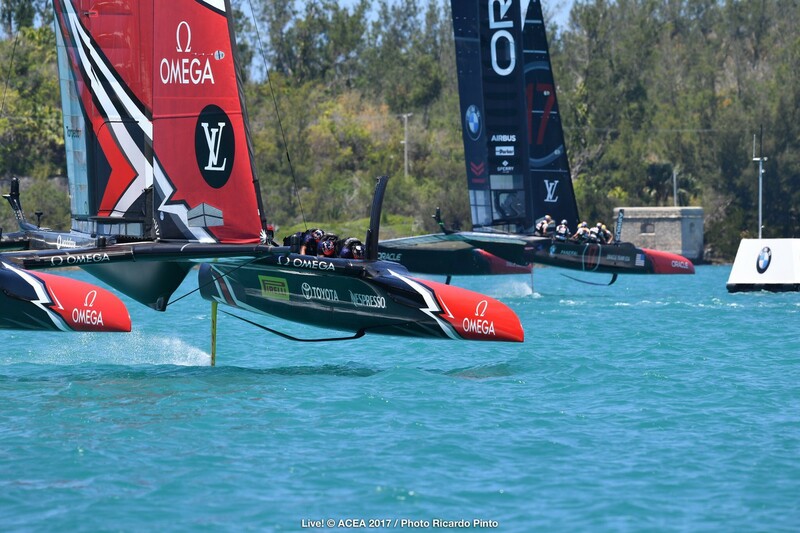 In more breeze Oracle might win some races and even the Cup, but performance wise, in 8 to 12 knots "midrange" where the design difference is really made they are far behind NZ. In 5 knots or 20knots, things get more even. On the Design & Implementation Game, TNZ has won by miles already. I really thought Oracle unlimited resources and full collaboration with JPN, drive from last Cup, plus all the sailing done in Bermuda was going to play a role for them to do better. 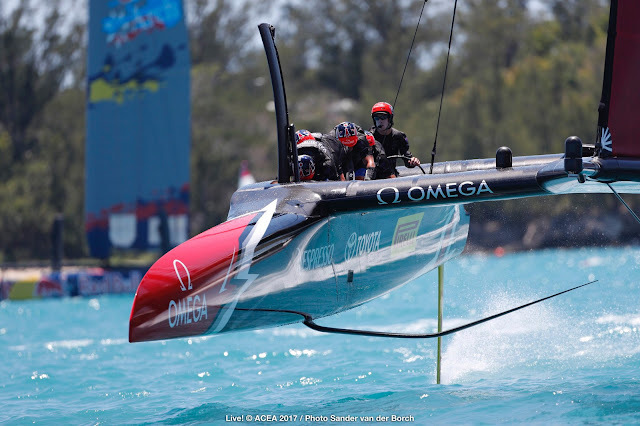 They might end winning this Final but once more the Kiwis confirm they are Nr 1 innovators , builders & designers. At the end of this Cup they might confirm again they are top AC sailors.